Think golds and luxury combined with rustic, country elegance with a slight Downton Abbey twist. On a very cold, crisp January morning, I set off to The Deerhouse at Swinton Park with my makeup kit,big jackets and boots to work with a fabulous team of wedding suppliers. This styled shoot was a little different as i was asked to be one of the models!! The dresses were beautiful, bespoke with a little bit of vintage thrown into the designs. 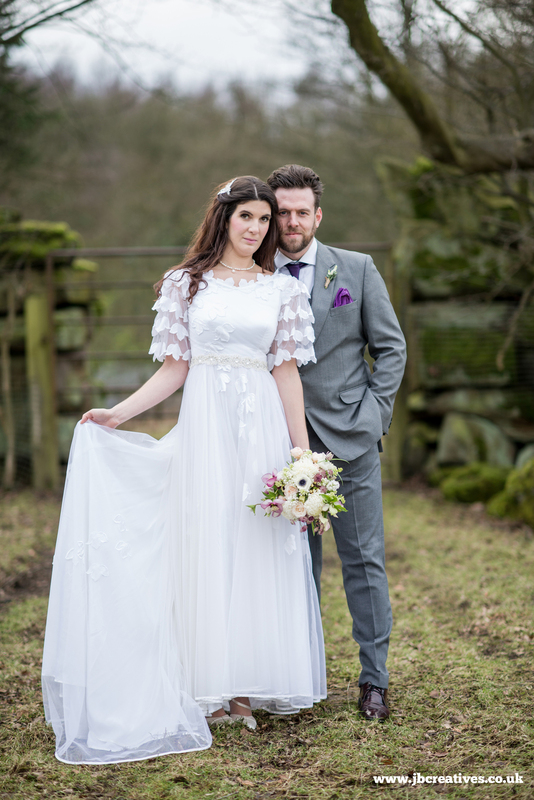 Claire from The Bridal Emporium dressed both Amy and myself in these stunning gowns complete with accessories. I must say I felt a million dollars that day. When planning your wedding design and style, think outside the box and see what can be achieved.